☹️ Twisties - What has happened to you? Smiths have a lot of Questions to answer. I used to enjoy the odd pack of Twisties every now and then. So I thought I had a dud pack earlier this year, and decided not to buy another until a few months had passed. Improved TastTwisties? WOW... Was I wrong, Smiths have definitely gone down the path of DON'T BUY THIS RUBBISH. The New Improved Junk, they call twisties, is a total waste of money. The Original Cheesy taste is gone, the new smooth tasteless texture they are trying to get us to buy, is nothing like the Original product, and tastes of chemicals. Now bear in mind, Twisties have been around since 1950, and first created by the General Foods Corporation. 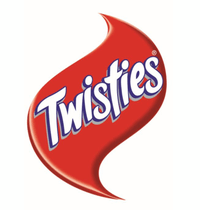 I personally think Smiths should remove the name Twisties from the pack, and call it "New Improved Plastic Taste" or "Chemical Residual Mistake" Now come on, how can a product that has been successful in the marketplace for many years, suddenly need to be -- RE-INVENTED --. The Smiths Taste Testers should be sacked, and the SEO who must think us, the Consumers are dim witted fool's who will buy whatever junk they wish to produce. Oh, and yes I know Frito-Lay took over Smiths in August 1998. Its quite an interesting trail to follow, and eventually finishes up at PepsiCo. Pop over to Wikipedia to read the full history if your interested. So after all of this who ha, Who Do I Complain Too? AND More Importantly: Who Will Listen? My own personal solution is simply Not To Buy Smith Twisties again. Your Personal thoughts: On what was once a Great Australian Product, now destroyed by overseas owners, would be greatly appreciated. So pop a Comment Below, and let the world know we don't like the New Improved Tasteless Product, and want the Original Brought Back. Now Surely that's not too much to ask for, Or is it PepsiCo?